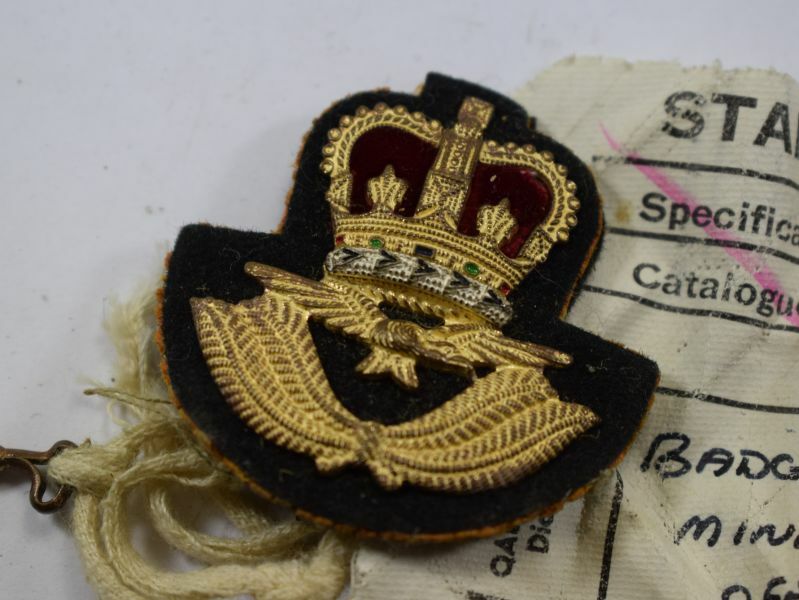 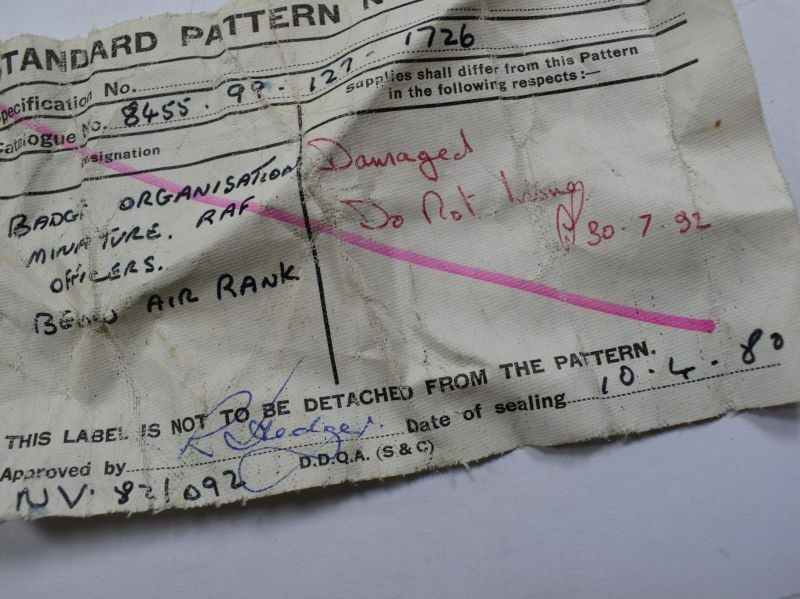 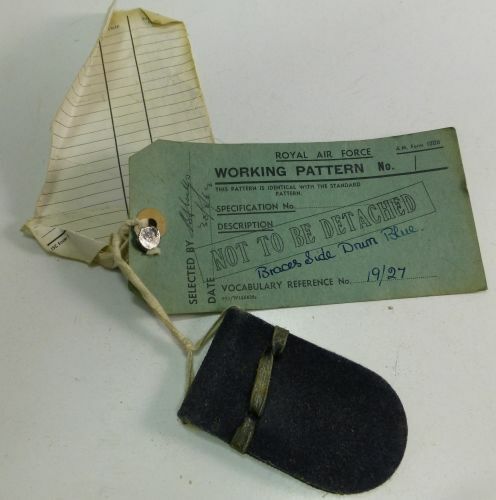 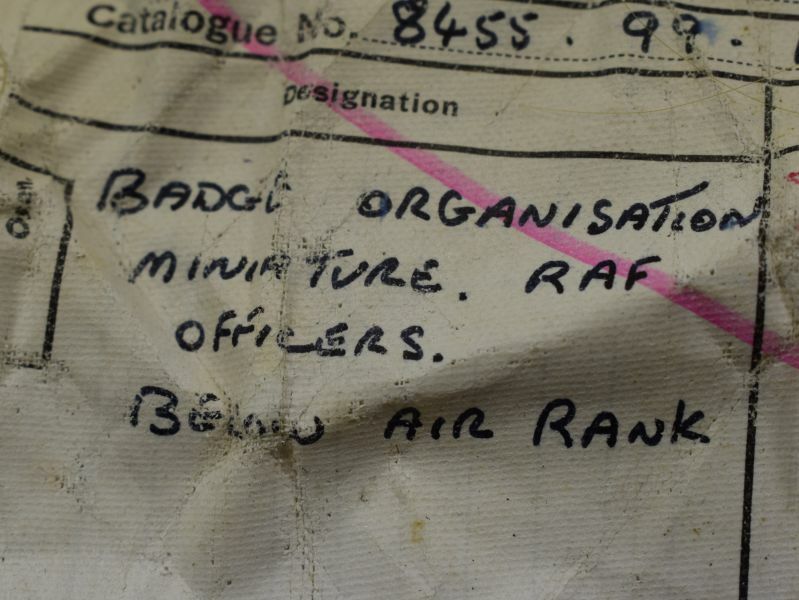 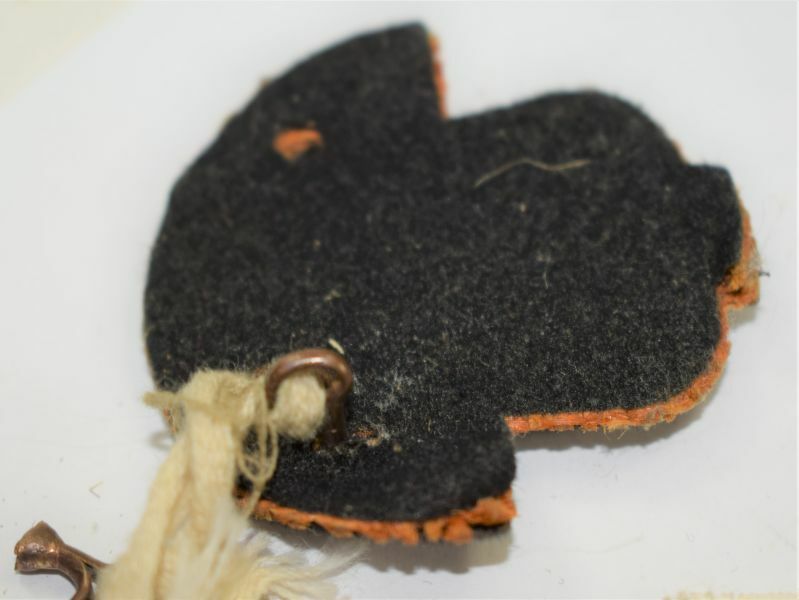 72 An interesting original Small RAF badge believed to be a beret badge. 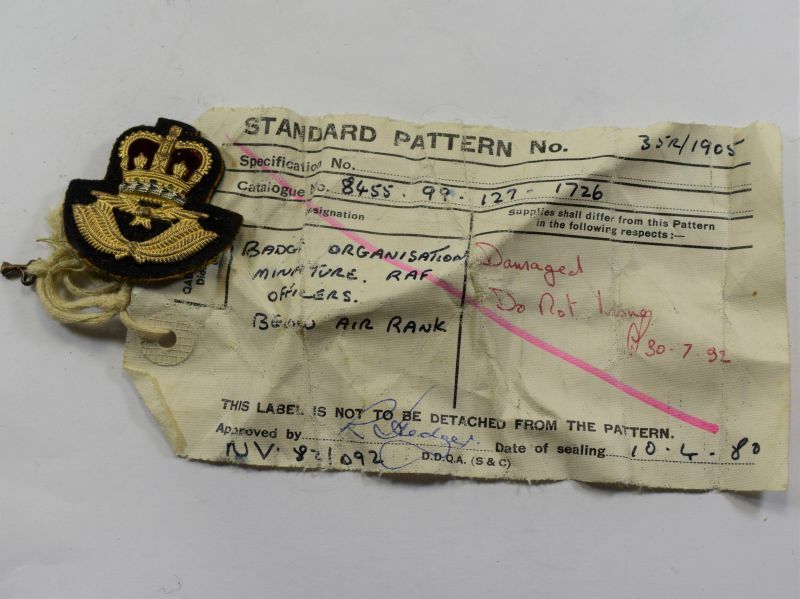 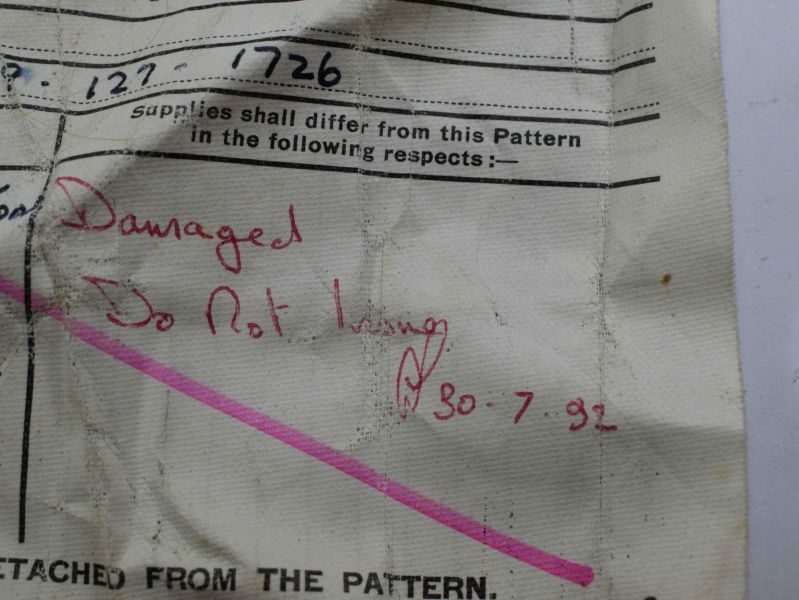 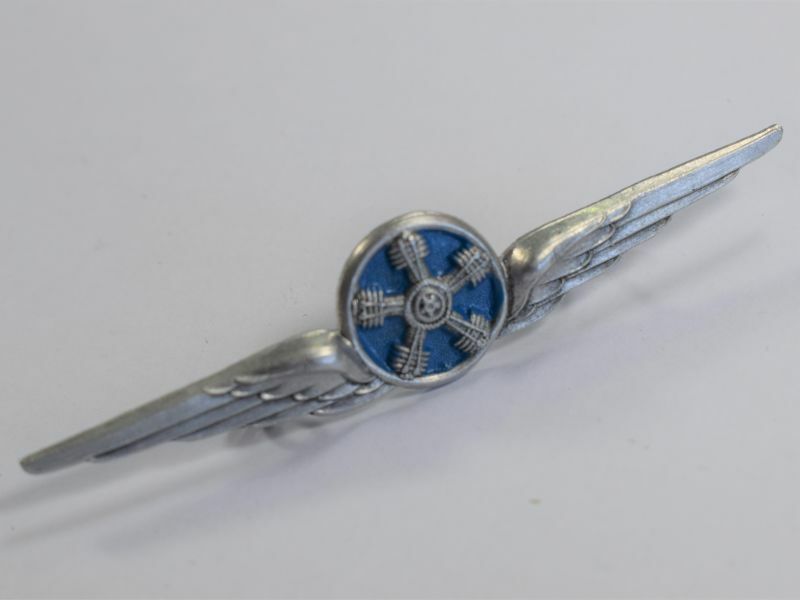 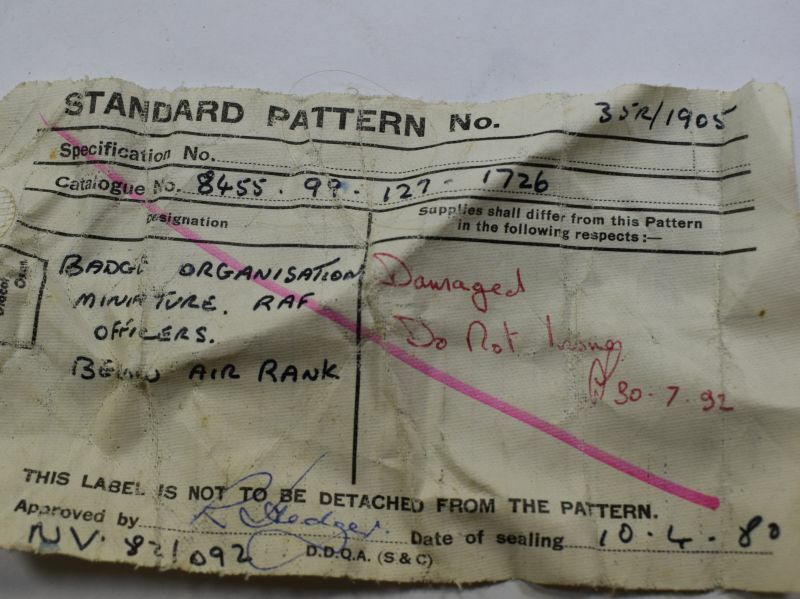 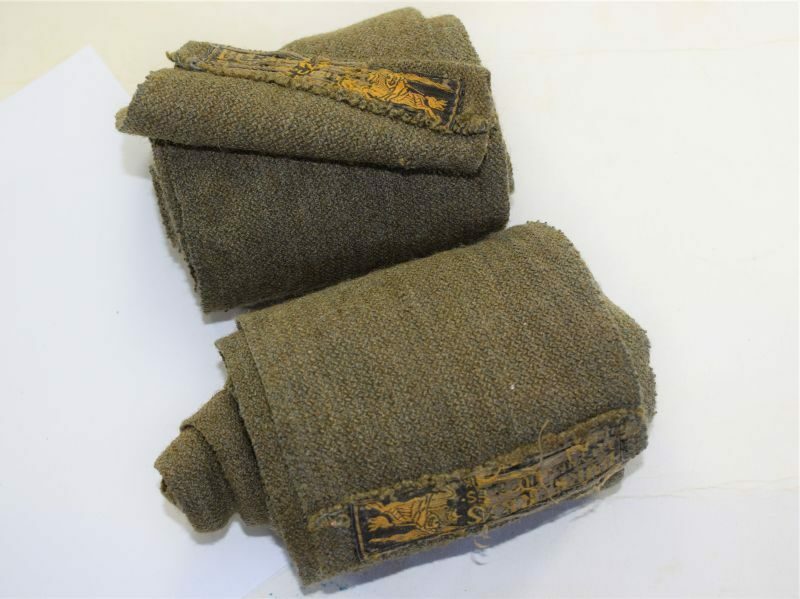 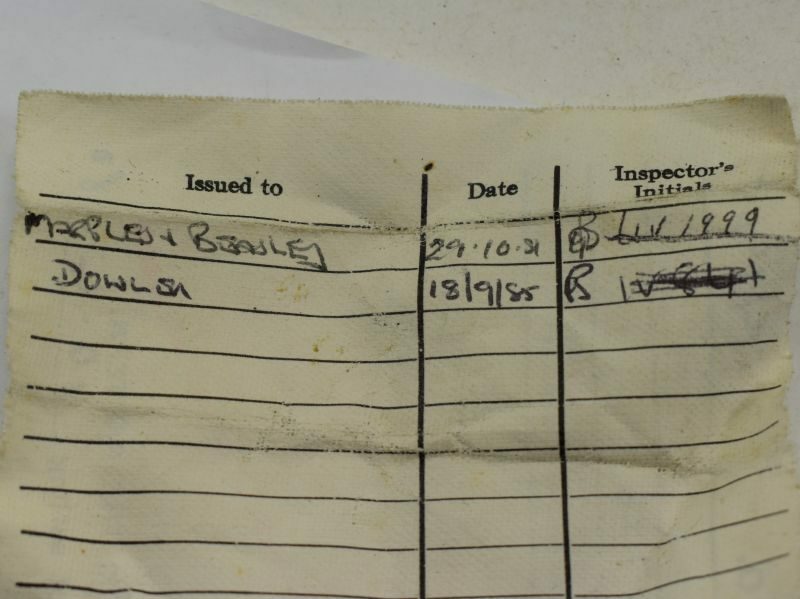 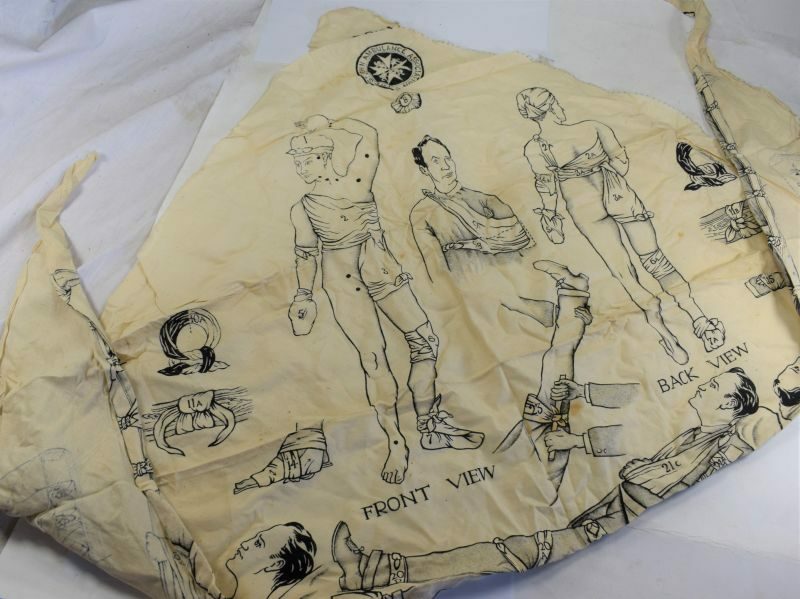 The badge comes complete with its sealed pattern label dated 1980, it states that the badge is for officers bellow air rank. 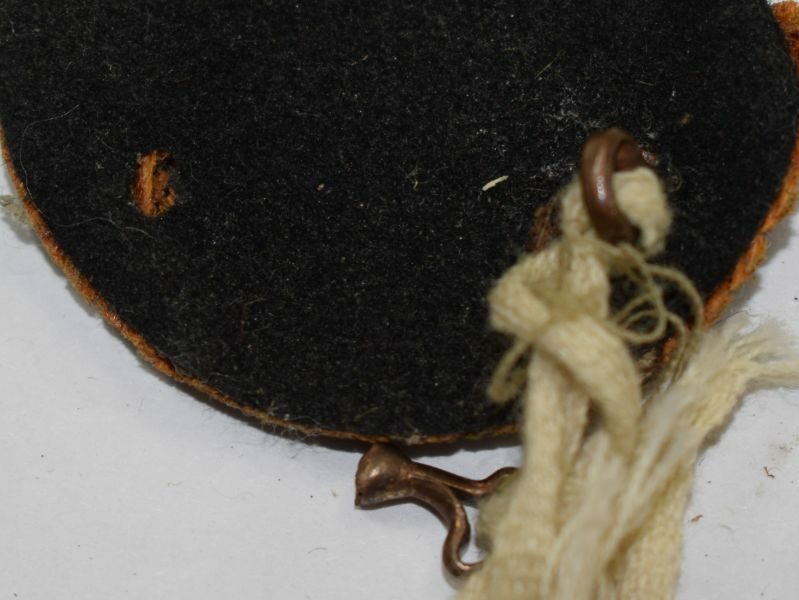 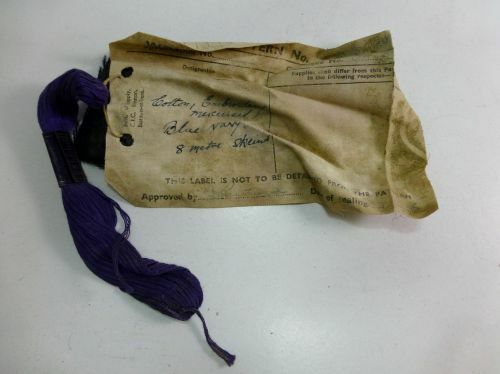 The label is good and readable, the badge is good but 1 lug has broken off, the broken lug is still attached to the string so could easily be fixed.